Australia’s space and machine learning industries have received a significant boost following the announcement of A$35 million in funding from the national science agency. The CSIRO investment will include the development of advanced imaging of Earth from satellites, in addition to cutting-edge data science to support the growth of AI technology. The CSIRO funding also includes $19 million to target AI-driven solutions for areas including food security and quality, health and well-being, sustainable energy and resources, resilient and valuable environments, and Australian and regional security. Space technology will receive $16 million to identify and develop the science to leapfrog traditional technologies and find new areas for Australian industry to work in and will initially focus on advanced technologies for Earth Observation (EO) and then address challenges such as space object tracking, resource use in space, and developing manufacturing and life support systems for missions to the Moon and Mars. The funding is the latest in a number of positive developments for Australia’s small but growing space sector and builds on the momentum generated when the South Australian capital Adelaide hosted the International Astronautical Congress in September 2017. At the congress, which attracted more than 4,400 industry delegates from around the globe, the Australian Government announced the formation of a national space agency to help grow the $4 billion domestic industry. South Australia has been a major player in the nation’s space industry and is home to major Tier 1 defence companies and several emerging space start-ups. These include Fleet Space Technologies, which opened a commercial tracking station north of Adelaide to track and transmit data from nanosatellites in the Internet of Things (IoT) global network in July. This month Fleet engaged Rocket Lab to launch two of its smallsats — Proxima I and II — from New Zealand. This was the first successful commercial cubesat launch to orbit by an Australian company. Two more Fleet satellites will be launched to orbit in the coming weeks — Centauri I and II — in separate missions aboard SpaceX’s Falcon 9 and ISRO’s PSLV C43. The satellites are part of Fleet’s mission to bring some 75 billion devices online. The Lockheed Martin team will work with University of Adelaide researchers and students at AIML on leading-edge technology, advancing the capabilities needed to meet complex and dynamic challenges in the areas of national security — including next-generation machine reasoning for automated information processing and decision support — and advanced algorithm development for air, sea, land, cyber and space systems. The primary research areas include platforms to improve prediction and understanding of complex data; platforms to enable trustworthy inferences and risk-based decisions; and data systems to enable ethical, robust and scalable AI. The CSIRO investment is part its Future Science Platforms (FSP) portfolio, aimed at dedicating research to new and emerging opportunities for Australia. They aim to help reinvent old and create new industries, as well as grow the capability of a new generation of researchers through specially-created student places in these ‘future’ fields. Space Technology and Artificial Intelligence join eight other areas of future science, including in the fields of health and energy. By 2022, the CSIRO Future Science Platforms program will have invested $205 million since their 2016 launch. 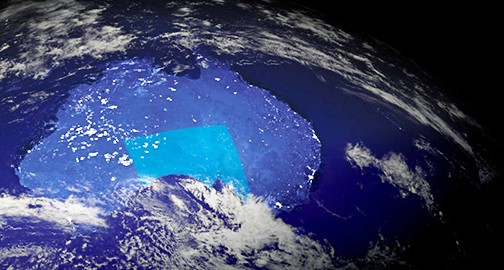 The latest investment in Space Technology builds on the launch of CSIRO’s Space Roadmap for Australia and supports the newly formed Australian Space Agency’s goal of tripling the size of the domestic space sector to $10-12bn by 2030. CSIRO Chief Executive Dr. Larry Marshall said that the Future Science Platforms aim to turn Australia’s challenges into opportunities, where new science can break through seemingly impossible roadblocks to give Australia an unfair advantages on the world stage. Innovation needs deep collaboration, so the FSPs bring together this nation’s world-class expertise across all fields of science, technology, engineering and math to deliver real solutions to real world problems. CSIRO is here to solve Australia’s greatest challenges through innovative science and technology — and to do that we have to invest in the big thinking and breakthrough research that will keep us ahead of the curve. News article is courtesy of The Lead and Jim Plouffe.